Over the weekend I saw that I had one of those "Where's George?" dollar bills in my wallet. I folded it up to make sure I wouldn't spend it until I had a chance to look it up, and tonight I took a few minutes to check out where this bill has been. If you're not familiar with this, Where's George? is a currency bill tracking website that's actually been around since 1998. Random people all over the country will stamp a particular bill with the WheresGeorge.com mark and instructions on how to log on. 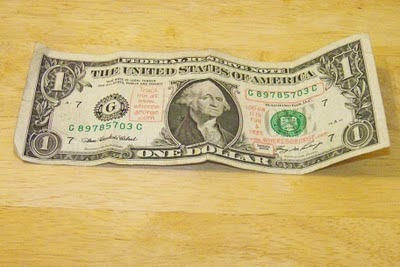 I entered the serial number hoping I'd find an interesting history of this bill, similar to the movie Twenty Bucks. But this George Washington hasn't seen much action. 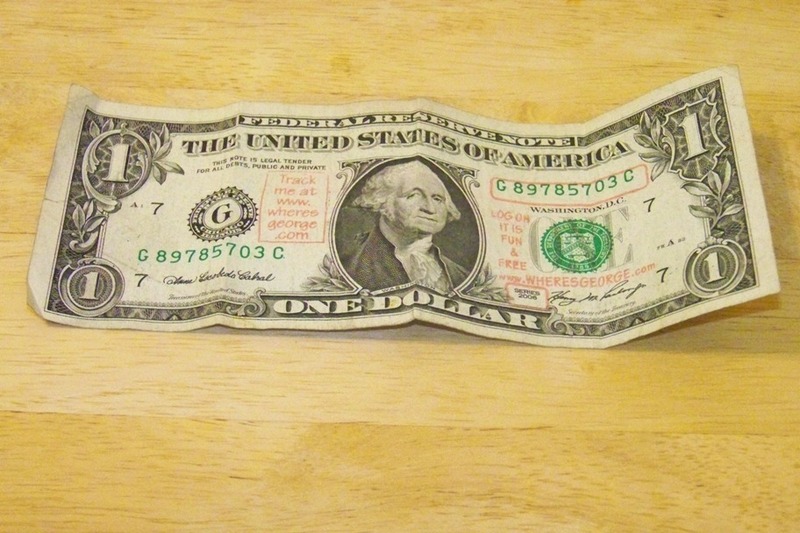 According to the tracking report that came up after I entered my info, this dollar bill, which was printed in 2006, was first entered into the Where's George? database by someone in Leominster, MA in August 2009; next in Shrewsbury, MA in October 2009; then it dropped off the radar until popping up in Lancaster, PA in May 2011; and I'm the most recent entry with Charlotte in September 2011. No one has entered anything noteworthy in the user's note other than the standard where you found it and the condition it's in. I don't think WheresGeorge.com is used as much as it once was, even though it reportedly remains the most popular among all the other sites that have copied it (nearly $1 billion worth of notes is said to have been entered on the site as of December 2010). And it's still a fun thing to do if you encounter one of these bills. I think this is only the second time I've come across one, the last time being about three or four years ago. I'm interested in seeing where this George ends up next (I entered my email address so I can receive an update if/when someone enters it again). I'll spend it today so it can get back into circulation.